Are you like Snow White and the Seven Dwarfs? Happy in your work? Do you burst into song to help you set the pace? 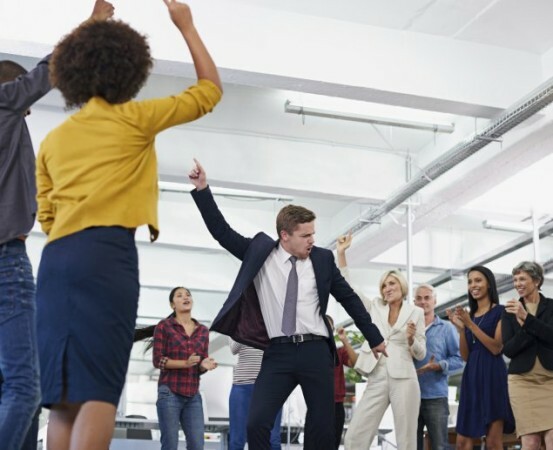 Given that adults spend about half their waking hours at the coalface, enjoying our time in the workplace, feeling enriched and rewarded, is critical to our overall health and peace of mind. Several Canberra workplaces that are taking active measures to improve the health and wellbeing of their employees are featured in a new book launched on Tuesday. What are you doing in your workplace to make your time there a happy, rewarding one? What additions would you like to see to make the daily grind that much more enjoyable? Send us a comment. The Healthier Work 2015-16 Case Study Book, launched during a Healthier Work networking breakfast, features 53 businesses and includes 27 in-depth case studies. The book highlights strategies and initiatives that have been successfully implemented through the free Healthier Work program across a mix of workplaces, including child-care centres, legal firms, a private hospital and a primary school. Brad Armstrong, partner at one of the companies featured in the book, construction consultancy Barmco Mana, said the program has helped employees lead a healthier lifestyle. “The ongoing support through this program has been a vital part in creating our happy, healthy, productive office environment,” Armstrong said. Communities@Work Head Office, Tuggeranong Child Care and Early Education Centre, Griffin Legal, and the Australian Nursing and Midwifery Accreditation Council were presented with certificates recognising their efforts to create healthier workplaces by committing to a 12-month health and wellbeing plan. OPC IT and Canberra Endodontics were handed silver status awards for completing their initial 12-month plans and committing to a further 12-month plan. Healthier Work is a free service offered as part of the ACT government’s healthy weight initiative that provides advice and assistance to ACT businesses to implement health and wellbeing initiatives for their employees. More information is available on the Healthier Work ACT website www.healthierwork.act.gov.au.